Benedicta comes to Pinecroft House of Peace, her home and a retreat center in Cincinnati, with a long-standing depression, a conflicted faith-life, and a desire to begin her new-found ministry with energy and vitality. She makes herself at home at Pinecroft and makes this her home-base. But Benedicta is plagued by misgivings. Her secret fear regarding her baby brother and just how he died so many years ago, is rekindled and comes to mind as she faces the foe and attempts to vanquish the darkness in which she finds herself. Indeed, this is the task before her. Benedicta goes for counseling where she finds trust in her God and herself, is given confidence in her blooming romance with Jude Forsythe, the lawyer for the archdiocese, and discovers, along with the tireless Inspector Herbert Benson Brown, ways to protect herself and find her sister after Brie is kidnapped by the perpetrator. You, the reader, may find clarity in your journey and receive a glimpse of a pathway to a deeper spiritual understanding, a deeper inner life. Hopefully, you will find that you are enriched, your walk made firmer and more secure. You may see that there is a path for the healing of the person who suffers from an emotional illness.You, the mental health consumer, will come to admire Benedicta's strong resilient character, her effort to trust and be a courageous woman when everything around her is falling apart. Or you could identify with Brie in her illness, her darkness. You may travel with her as her world is turned topsy-turvey, when bullying enters her space or when despair closes in on her equilibrium. You may know first-hand just how difficult it is to remain steadfast in resolve and purpose when stricken and may appreciate Brie's situation. And no doubt, in the end, you will be able to rejoice with Benedicta, at finding Brie, at vanquishing the foe, and receiving a healed spirit. 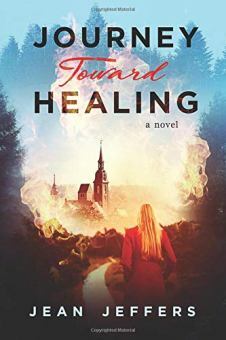 The inspiration for this book was gained through my own participation in prayer and counseling at Pinecroft House of Peace and by the director, Sister Therese Martin. Her presence in my life was affirming and grace-filled.